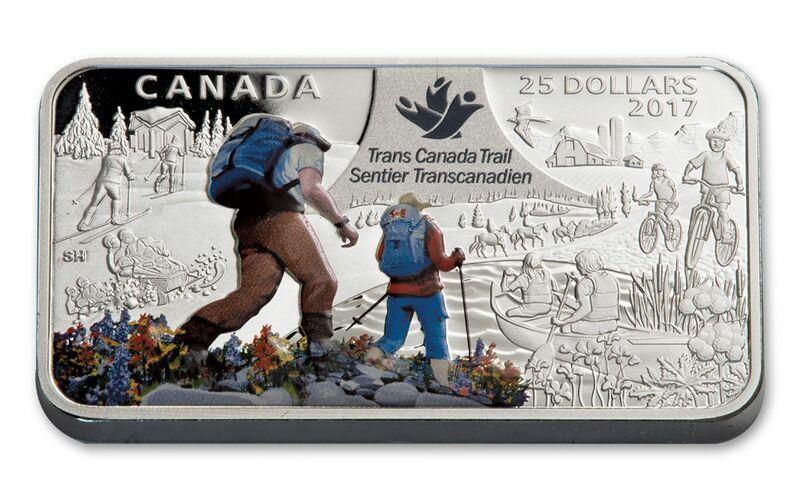 Bring The Great Trail to Your Collection with this Rectangular Silver Proof from Canada! The Great Trail, which is also known as the Trans Canada Trail, is a network of connected trails which stretches over 13,000 miles. These trails are enjoyed by many hikers each year. It has been a major Canadian attraction since the 1990s. Of all the recreational activities that Canada has to offer, the Trans Canada Trail is certainly one of the most unique. 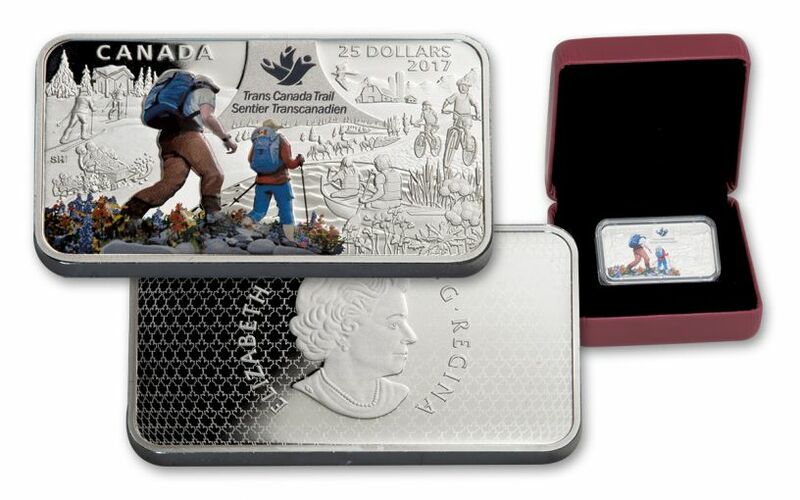 This Silver Proof was struck by the Royal Canadian Mint to highlight the trail for Canada’s 150th. It has a rectangular shape and mintage will be limited. Trans Canada Trail Design– The design on the reverse shows The Great Trail. Some portions of this side have been colorized. Numerous sections of the trail are depicted here to highlight the variety of landscapes that hikers can see while walking it. Even the Trans Canada Trail logo is featured here. 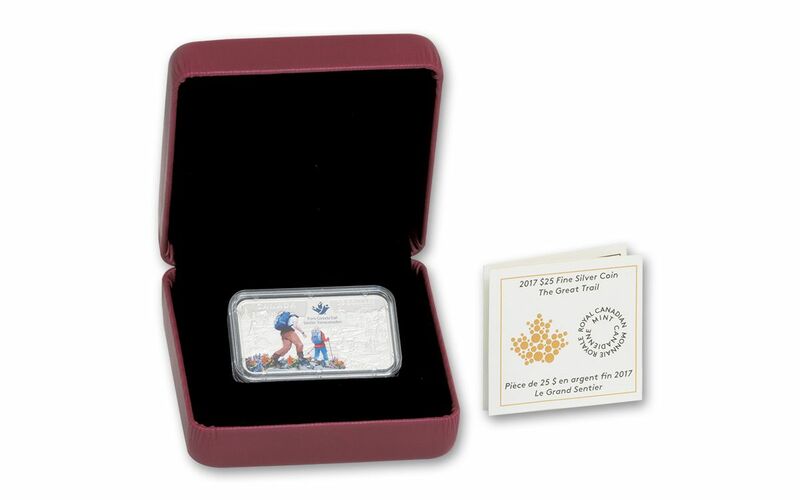 High Level of Purity– Since this Silver Proof was struck by the Royal Canadian Mint, it is made of some of the purest Silver available today. The Silver in this Proof is .9999 fine. The coin itself weighs 1.5 Troy oz. 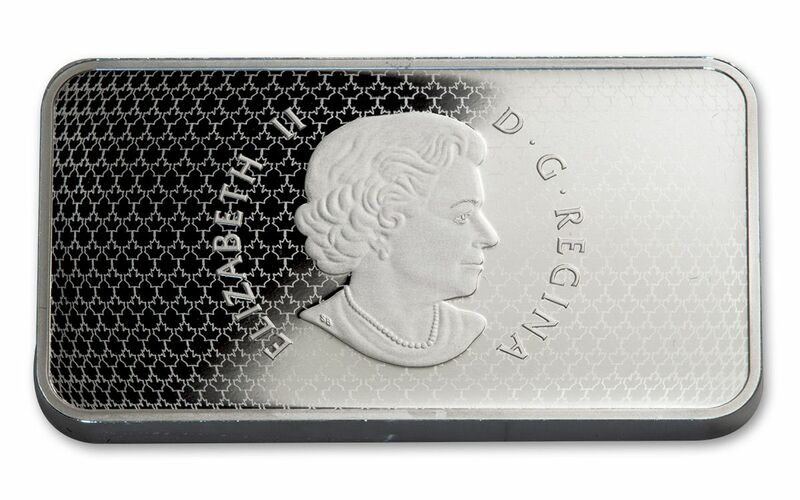 Canadian Legal Tender– This rectangular Silver Proof is Canadian legal tender. It has a face value of $25. Since it is legal tender the obverse displays Susanna Blunt’s portrait of Queen Elizabeth II. The obverse also features a pattern of maple leaves in the background. Ungraded in Original Packaging– The coin offered here has not been graded. It is still in its original packaging from the Royal Canadian Mint. It comes with a clamshell display box and a certificate of authenticity. Low Mintage Limit – Production of this unique rectangular proof is very limited. No more than 5,500 of these coins will be struck. This limit is low compared to many modern coins. There aren’t many of these coins to go around. 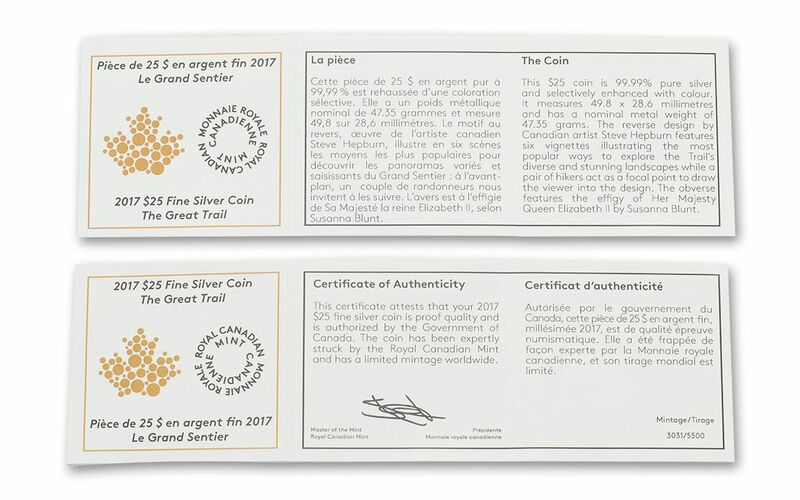 Order your 2017 Canada $25 The Great Trail rectangular Silver Proof from GovMint.com today!